I am a street child. The shallow lanes my home. When I was five, my family sold me to a man who claimed to make me a hero. I left my mothers finger and clutched onto the mans, who claimed he could make me earn more and so my family would not have to worry,anymore. He took me into a dark place. Mysterious and gloomy it was. The walls reeked with decay of metal and the floor screamed with pain of its own. He placed me on the floor and soon I was unconscious, but I woke up to knew why the floor screamed of pain for so long. I awoke with broken limbs, I perfectly had them two hours ago. He claimed to make me a hero, made me a crippled zero. It was agony and pain, the sort you would not know. Have you ever just woken up to find, that you will not be walking without sticks anymore? He laughed as I sobbed and saw my deformed limbs-useless on the cold floor. A stabbing pain in my heart- I knew my dreams were broken, alas! An inflicted wound on my existence- I knew I was nothing more than a cripple. And after months of crying I did. My entity died, my hope shattered and I came to the conclusion that I was nothing more than a beggar. I replaced it all with nothingness. Nothing mattered to me anymore. I am a street child. I knock on your fancy car doors. I beg for money. I beg for pity. I beg for change and nothing more. Scorching sun, rainy days, summer, winter and spring are all the same. The shallow lanes are my home. They are my solace. I have friends now, and we are all the same. Playing with our broken limbs and walking sticks. Smoking a cigarette a day. The morning comes and we get ready for work. The night comes and we count the pennies we earned. 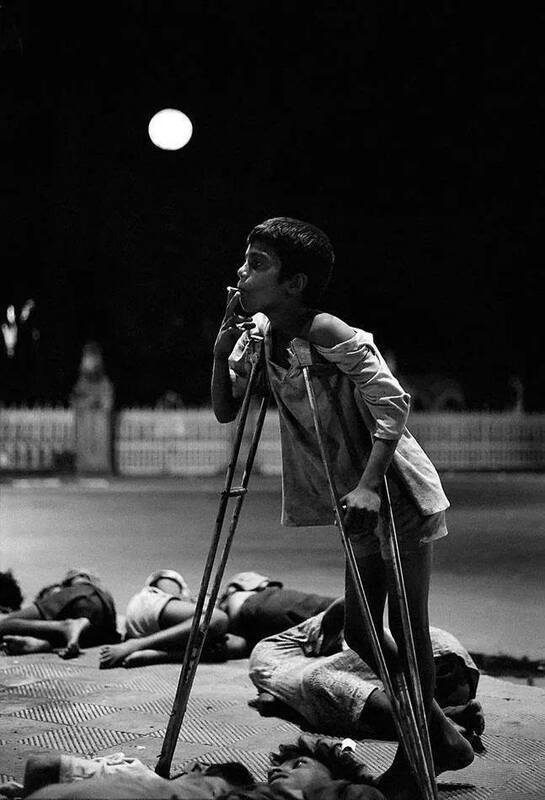 I am a street child and nothing more.